This cheesecake only takes a handful of ingredients, but results in a smooth and creamy dessert every time. It's so good my sister requested it for her wedding cake! I love cheesecake! My aunt Donna spoils me (and she makes a good cheesecake!) 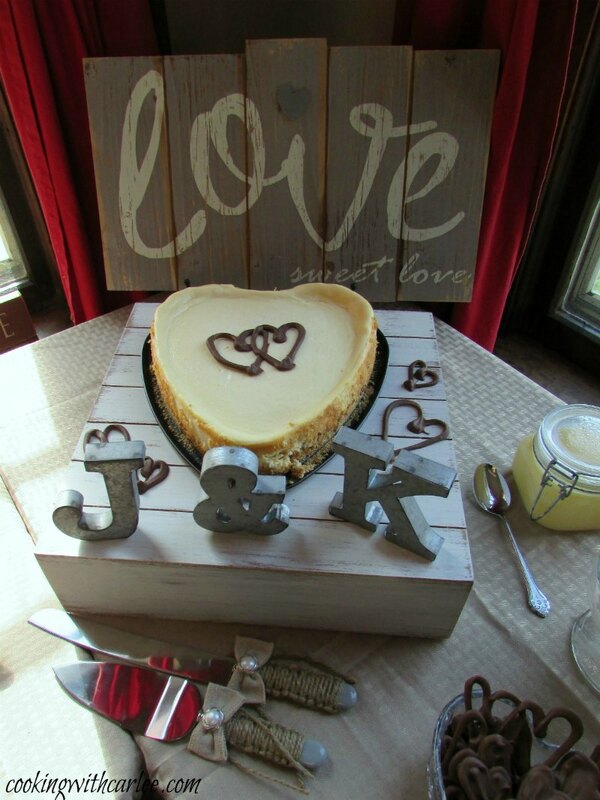 She makes original cheesecakes, chocolate cheesecakes, round cheesecakes, square cheesecakes and they are all yummy! 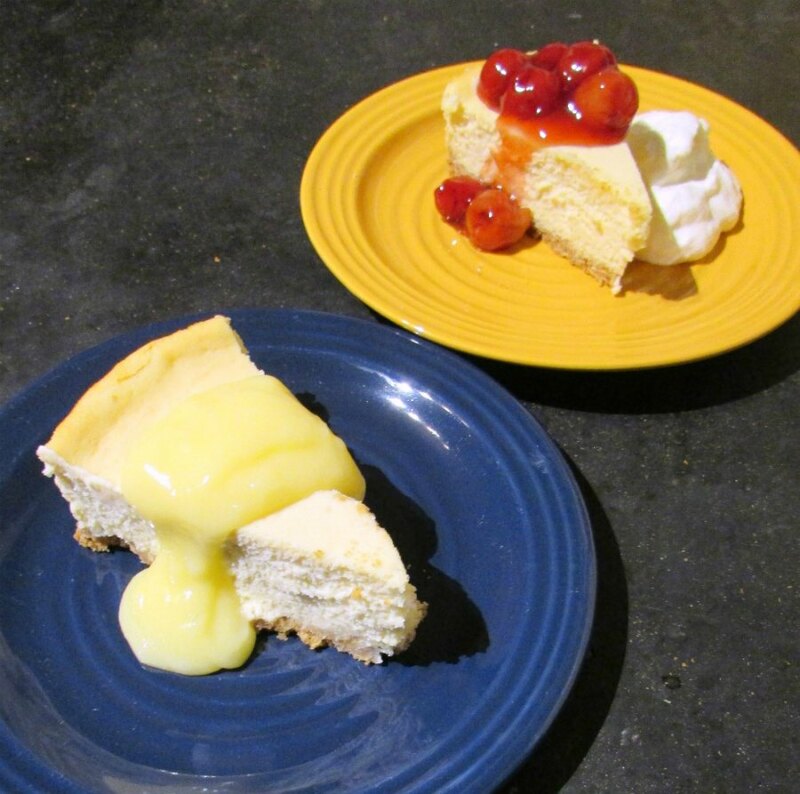 So of course I had to make her cheesecake recipe very early in this blog's life. It was delicious, of course! The best part is the recipe is easy and I usually don't have any problems with it cracking. So, when my sister requested I make cheesecake (along with a host of other desserts) for her wedding, I immediately knew which recipe I was going to turn to. She wanted plain cheesecake with a few toppings. So I made two cheesecakes, cherry topping, lemon curd, crushed chocolate cookies, chocolate hearts, fresh whipped cream and so on. They were all delicious! So if you need a fail-safe cheesecake recipe, this one is for you. It makes a great textured cheesecake that is the perfect mix of creamy and just the right density. But don't take my word for it, get to baking! Place the graham cracker crumbs in the bottom of a springform pan, add the butter. Mix together and press into the bottom of the pan. Bake for about 10 minutes. Make sure the cream cheese is really softened to it is smooth.Whip the cream cheese until completely smooth, being sure the scrape the sides of your bowl a couple of times. Beat in the condensed milk and extracts until smooth. Add the eggs, one at a time beating until just combined. You don't want to whip to much air into the mixture at this point. Pour onto the crust. Thump it on the counter a couple of times to get out any big air bubbles. Let cool and then chill at least a couple of hours, preferably over night. Love cheesecake and this one looks so good...and easy too! Thanks, Cindy! It is definitely a favorite in our family! YUM!!! 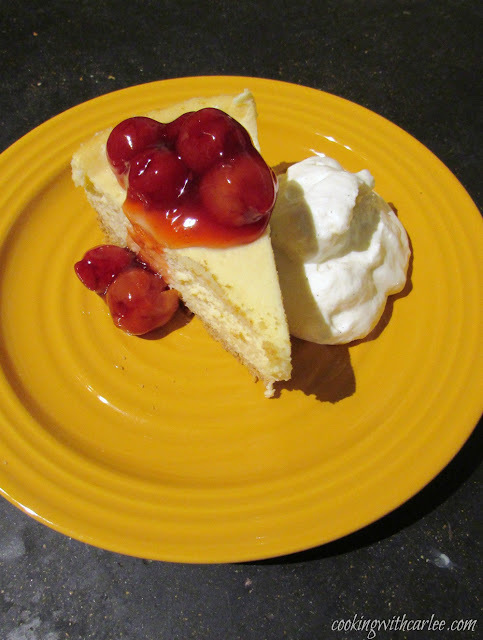 I love cheesecake too and the sweetened condensed milk in this....scrumptious!! It makes it so easy and so good! Thanks, Andrea! Looks delish! Thanks for sharing at Funtastic Friday! It was good with them all (not that I tried them all... I mean, of course I did!) It was a fun set up for a small wedding in my parents' farmstead. 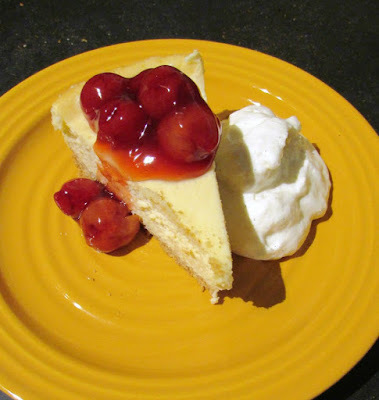 Cheesecake is a favorite in my house and this one looks delicious! My husband Looooves cheesecake, so I'll have to give this one a try! This is an easy version and we always love the results! I hope he does too!